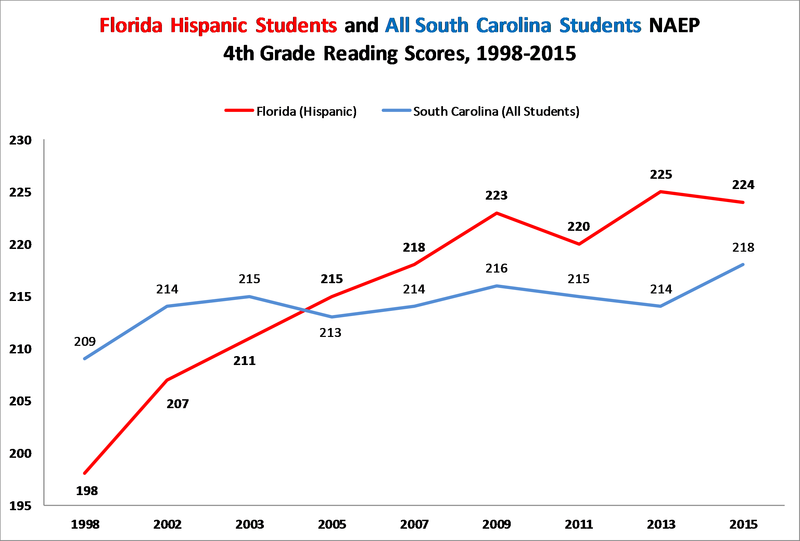 South Carolina students once led Florida students in key education metrics according to the National Assessment of Education Progress (NAEP). The monumental shift occurred more than a decade ago, but while Florida continues to implement innovative education reforms aimed at effectively educating their young people, South Carolina continues to spend more money per pupil than Florida for far less measurable progress. 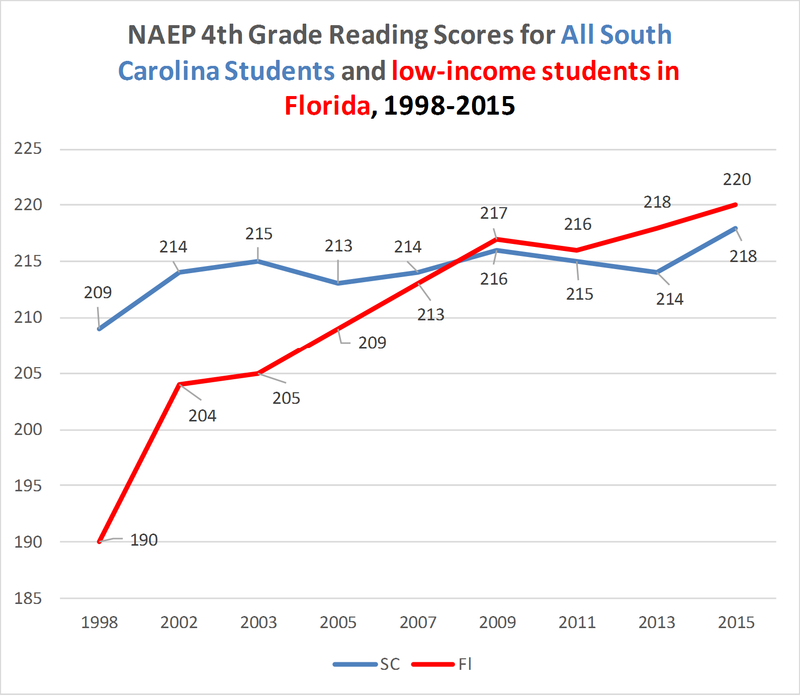 Since PPI’s original report, new NAEP data has been released – a chance for SC to again take stock of where we are and what needs to be done. 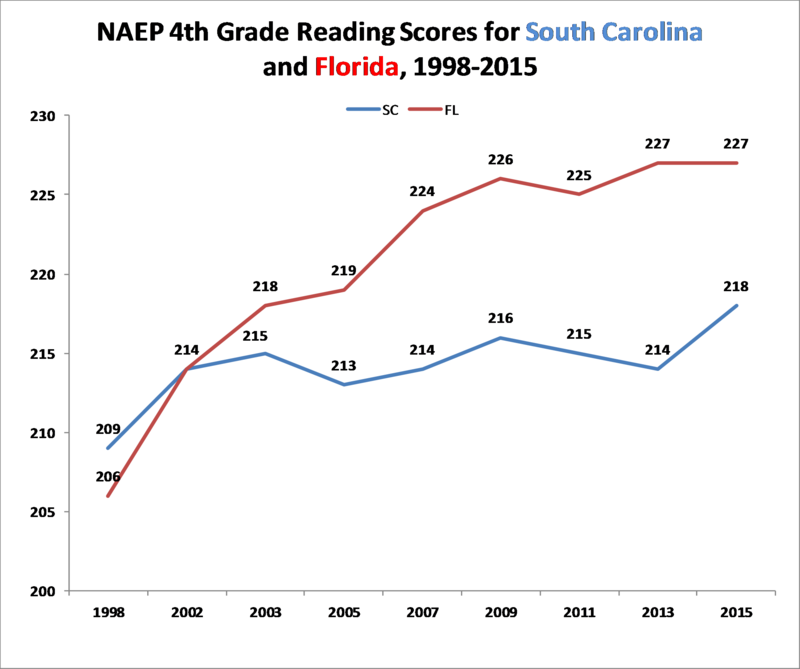 Figure 1[ii], below, shows that although South Carolina fourth graders made gains after consistently losing ground since 2009, Florida fourth graders remain 9 points ahead on their NAEP reading scores. The trend continues in Figure 2[iii], below. 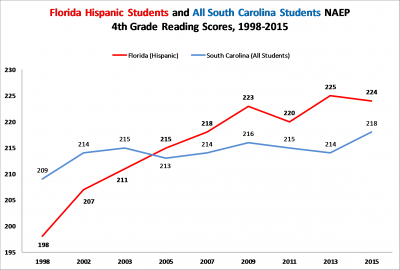 According to the newest NAEP data, the trend showing Florida’s Hispanic students outperforming all South Carolina students continued since our original report. Figure 3[iv], below, makes a third comparison. 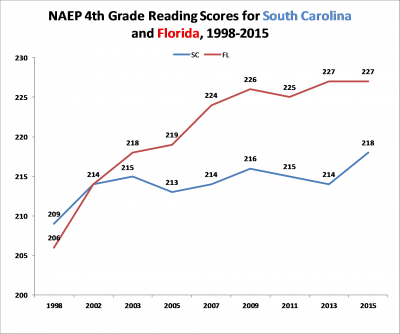 When we added the 2015 NAEP scores to the rest of our data comparing black students in Florida and South Carolina, we found that while both South Carolina students and Florida students improved and South Carolina closed the gap by two points, there was still a 13-point testing-score disparity between the Sunshine State and the Palmetto State. Two additional comparisons take into account the disability status of a student and the income-level the child comes from. 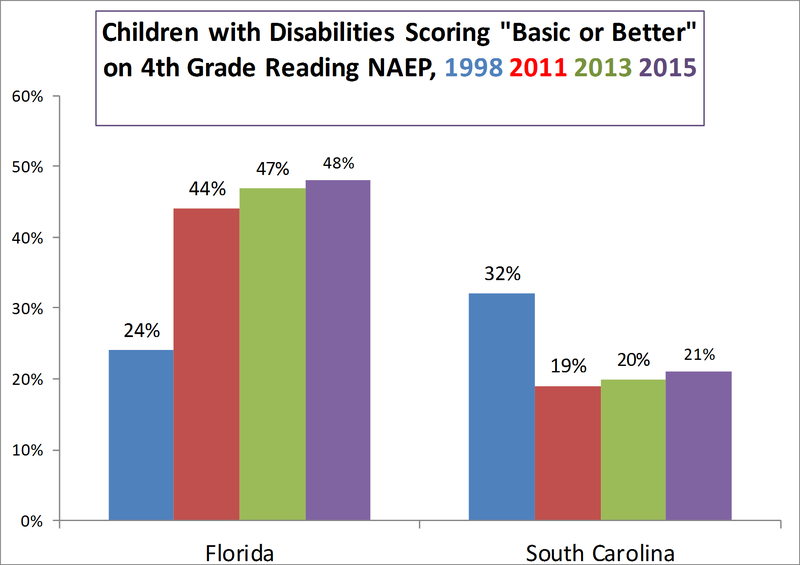 Figure 4[v], below, shows the percentage of 4th Grade students with disabilities in each state that scored “basic or better” on their NAEP testing throughout the years. Although the comparison is shocking, South Carolina is moving in the right direction on this front. South Carolina’s most successful private school-choice program, Exceptional SC, is now on firm financial footing and enabling parents to have more flexibility in determining how to educate their child. Figure 5[vi] compares low-income Florida 4th graders (defined by eligibility for subsidized school lunches) with all of South Carolina’s 4th graders. The take-away from this chart? 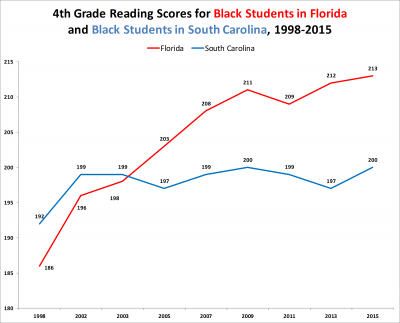 Florida is making progress educating all students – even students with difficult extenuating circumstances – and South Carolina continues to perpetuate the status quo. Did Florida spend its way to success? A question looming over the quantum leap of Florida fourth graders is the question of funding. Did Florida win the reading war by simply making a greater fiscal commitment to K-12 education? Did Florida buy performance? Simple funding comparisons indicate quite the opposite. Over the twelve year period between 1999 and 2011, South Carolina spent a total of $6,920 more per student, or an average of $692 per year. What’s more? 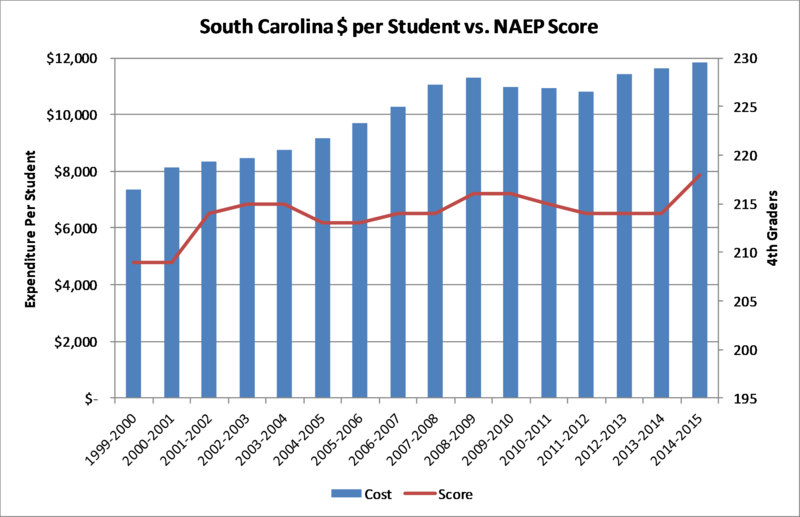 In actually expending the funds, the State of South Carolina spent an average of $438 more per student per year (or $3,506 total) than Florida did during the eight year period between the 2002 and 2010 school year, when the gap in academic performance flipped in Florida’s favor. When South Carolina and Florida’s expenditures are charted with its performance, an even clearer picture emerges. In our previous report we demonstrated that since 1999, South Carolina’s spending has been on a slight incline while its performance has been flat. New 2015 data reveals that trend has continued throughout the last meeting of the General Assembly – South Carolina continues to spend more and more money with minimal gains in student performance. The 2015 data, seen in Figure 6[vii] and 7[viii] below, also show that while Florida’s spending has seen modest increase, it remains less than South Carolina’s per student. 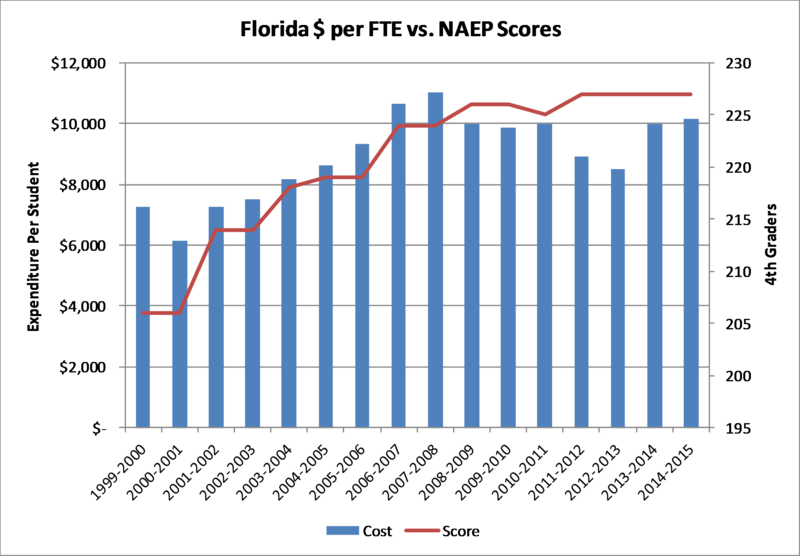 Meanwhile, Florida’s overall student performance continues to outpace South Carolina’s and Florida’s education system is tasked with educating far more students. 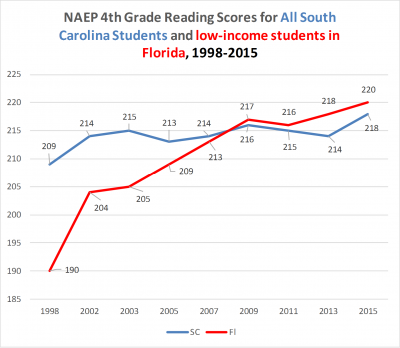 In fact, while NAEP reports that Florida’s education system is responsible for 2,668,156 students, it reports that South Carolina’s is only responsible for 727,186 students. 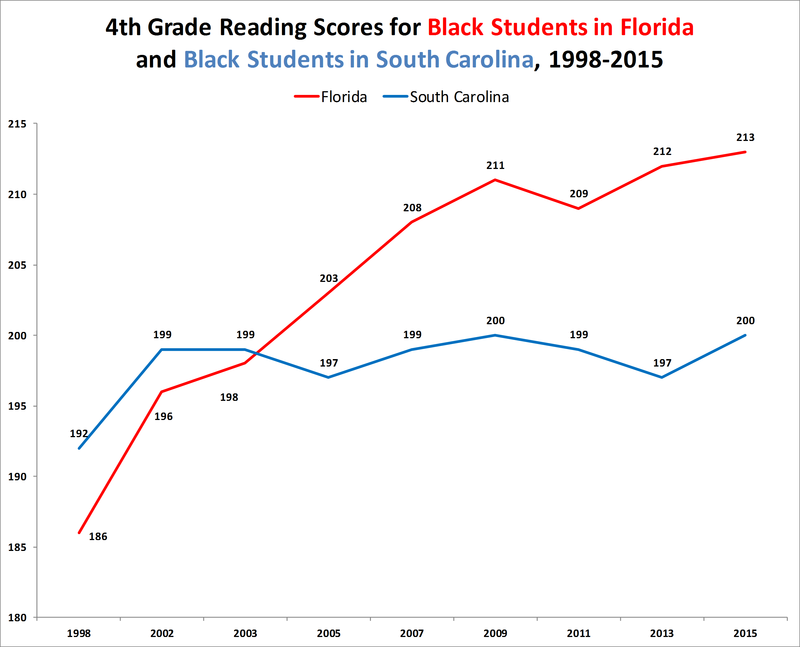 The lesson of these simple charts and graphs for South Carolina? Bold commitment to reform is the reason for Florida’s success, not simply more spending. Where should SC go from here? It is evident that Florida’s bold education reforms, not more spending, improved the education environment. South Carolina should make the same commitment to innovative new ways to achieve desired education outcomes in every school district from the Blue Ridge Mountains to the Coast. 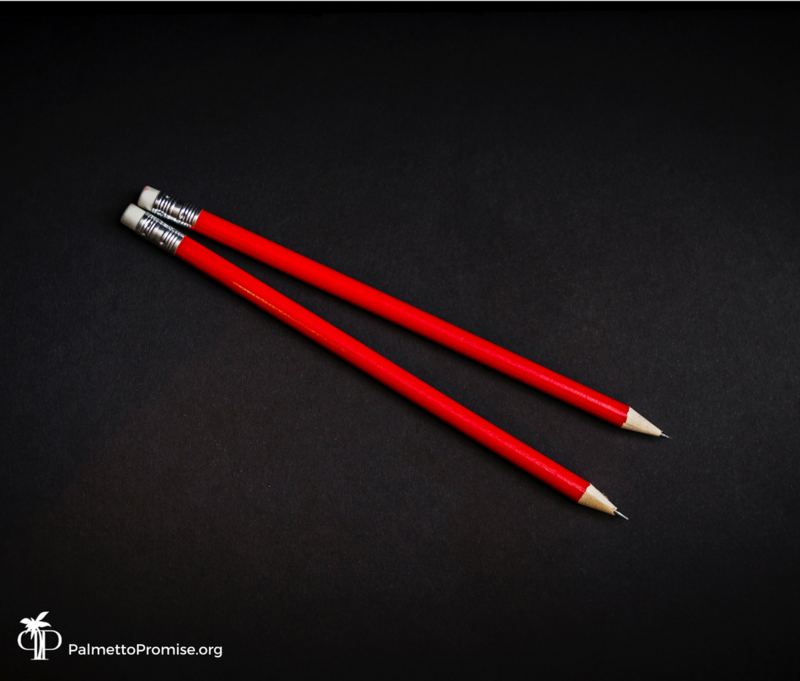 Accountability: In order to improve outcomes, South Carolina needs an honest, transparent assessment of student progress in order to set goals for improvement. The Every Student Succeeds Act requires South Carolina to adopt a new accountability standards that are compliant with federal guidelines. Earlier this year the Education Oversight Committee (EOC) sent a recommendation to the General Assembly that includes clear categories of school success and gives an overall grade to schools based on student achievement, growth and other categories. While South Carolina is the only southeastern state not to adopt an A-F school grading system, the ideas put forth by the EOC recommendation are an important step forward our accountability system. improvement over the last accountability system. These recommendations passed the House (H. 3969) and await Senate action. Transparency of Choice: One historical hindrance to the harnessing of education options already available to parents is the fact that many parents are just unaware of their choices. MySCEducation fills that void. It is an all new, one-stop shop for parents looking for education options in their area. With all the data on the schools available to them in one format, we are giving parents all the information they need to make a good decision for their family. Public School Choice: Increasing access to Charter Schools. Supporting Magnet Schools. 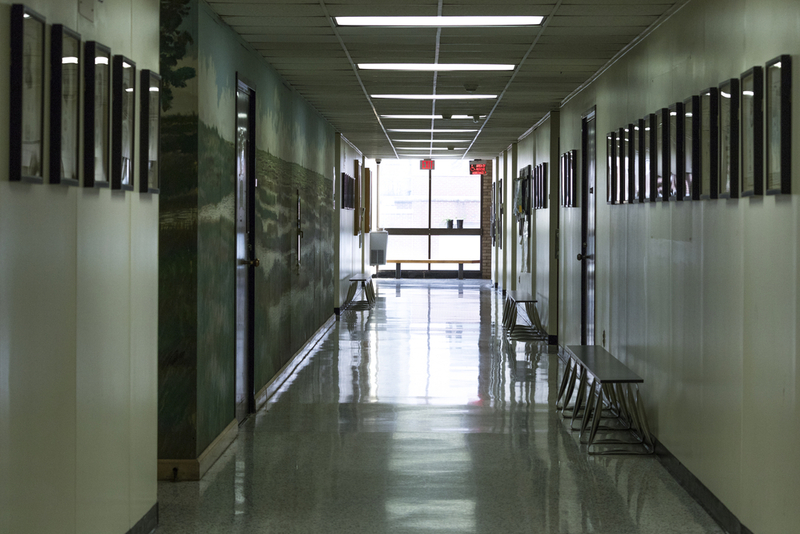 Consolidating school districts to trim overhead costs. 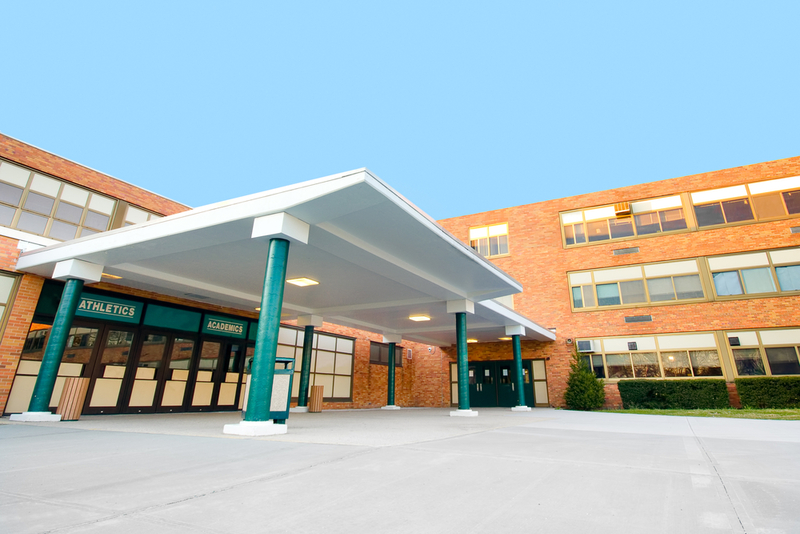 Allowing for open-enrollment of students across district lines. These are just a handful of public sector ideas that can improve the quality of public education while giving parents and students more outlets for improvement. Tax Credit Scholarships: South Carolina’s ExceptionalSC tax-credit scholarship raised a record amount of funds this past school year. With the $9.9 million in hand, ExceptionalSC was able to award over 1,000 scholarships to parents of students with disabilities. But there is still work to do. 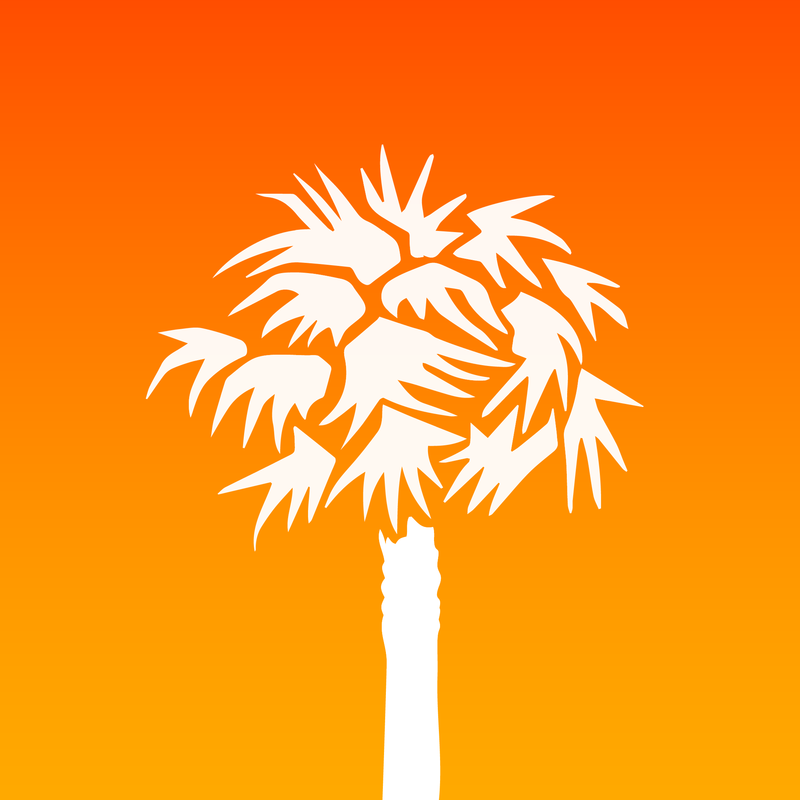 Raising the cap on how much money can be raised and codifying the program into law are attainable steps South Carolina can take soon. Both ideas have support right now in the legislature. Education Opportunity Scholarship Accounts: Already, students in five states around the country, including in Florida and Arizona, are benefiting from education scholarship accounts which allow them to use their state’s education dollars to spend on approved education needs, from home school resources and tutors to transportation, college savings, online learning programs, private tuition and fees, and more. By allowing parents to customize their child’s education, South Carolina can open the doors of education opportunity to tomorrow’s workforce. Online Course Access: Harnessing the power of technology and innovation could provide one critical solution to the teacher shortage in SC. Access to the best teachers and courses should – and can – be available to every student, everywhere. 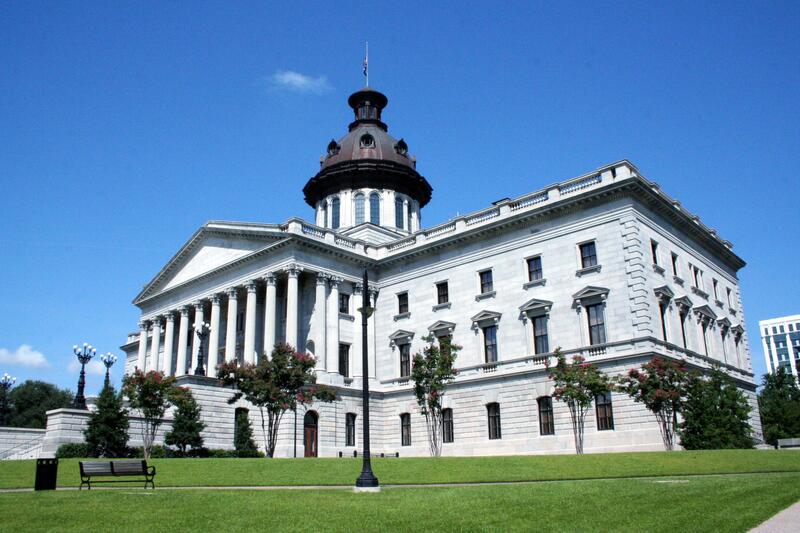 Education Finance Reform: One of the fundamental issues holding back South Carolina’s education system is the method by which the state finances K-12 education. Funding streams wind through multiple, decades-old pieces of legislation and is based on layers of arcane rules and determinations. Moreover the money comes from multiple sources, including local, state and federal dollars. In fact, when you add up the total federal, state and local dollars spent on K-12 education in South Carolina, it is close to $18B! Education finance reform is desperately needed in South Carolina to align inputs (spending) with outcomes (student success). The disparity between the stewardship of resources in Florida and our struggling education system in South Carolina is apparent. The opportunity for success in the future, however, is the right of any state who claims it. Every student in the Palmetto State deserves a high-quality education that gives them the opportunity to reach their full-potential. These ideas would be a great start to making that dream a reality.